Welcome to Northwick Park, a wonderful 16th Century mansion house once owned by the Spencer Churchill Family. Over 70 families live here and we enjoy many activities the entire year around. The seventy-eight separate properties, and the surrounding grounds which currently comprise the estate, are at the centre of what was once a much larger estate, which included a lake, parkland and farms now owned by Mr Ian Bond, and the nearby Northwick Business Centre. Until 1931, Northwick and its parish of Blockley were part of Worcestershire. A large collection of records relating to its history over eight centuries is preserved in the Worcester Records Office, having been deposited by Northwick Park’s last private owner Captain George Spencer Churchill MC FSA, who died in 1964. In mediaeval times Northwick was a settlement of small-holders with a larger house (now the mansion) owned since about 1380 by the Childe family. The earliest parts of the house which survive today seem to have been built in the early 17th century for William Childe the younger, who died aged 80 in 1633. His monument is in Blockley church. The estate was bought in 1681 by Sir James Rushout, the son of a rich Flemish merchant, who later probably introduced silk manufacture to Blockley. In 1686, James Rushout began an extensive re-modelling of the house, possibly to a design by William Talman, creating the present plan of four ranges of rooms around a large central staircase. His son Sir John Rushout (1685-1775) was assisted in the 1730’s by the classical architect Lord Burlington, who designed the Palladian east front and magnificent entrance hall. The next Sir John Rushout (1738-1800) employed John Woolfe as architect to work on the house in 1778. He rebuilt the staircase in the centre of the house, and tall bay windows were added to the south front (the 1828 date on the rainwater head beside them refers to when they were extended from two to three storeys). At about the same time, the extensive parkland was landscaped to a design by William Emes. John Rushout was created 1st Baron Northwick in 1797, shortly before he died. His son John (1769-1859), 2nd Lord Northwick, was a keen art collector and antiquarian who spent many years in Italy. He was in Naples in 1799 when the Neapolitan royal family (accompanied by Sir William and Lady Hamilton) escaped from the invading French army, and he sailed with them in Nelson’s flagship to Sicily. The rock which forms the fountain in the West Garden is said to have been brought by Nelson for him from Mount Etna, but there is no evidence to support this story. The earliest known pictures of Northwick Park are by his sister, Anne Rushout, showing the lake, grounds and mansion in about 1815. In 1832-34 Lord Northwick built a picture Gallery, designed by Richard Hulls, to house his large art collection at the north-east corner of the main house. The other ancillary buildings around the house date in their present form from the 18th and 19th centuries. The attached quadrangle, now Burlington Court, housed service quarters and kitchens with a fine cellar of much earlier date. The large Orangery overlooking the west front of the house may have been part of Sir James Rushout’s 1686 work, and has also been attributed to Talman, but substantially remodelled since. The Stables and Coach House with finely carved stonework, facing the large courtyard and the Gallery, were probably remodelled in the 1880’s. The Dovecote, Granary and Rushout Court buildings retain much of their original form. George Rushout, 3rd Lord Northwick (1811-1887) succeeded his uncle who died unmarried in 1859. George was MP for Evesham and East Worcestershire, and married a widow Augusta Warburton in 1869. 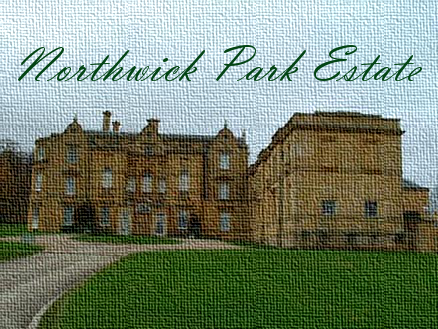 Lord and Lady Northwick did a great deal to help the development of Blockley during their time at the Park. They paid for a new sewerage and water supply system for the whole parish, and made repairs and notable additions to the parish church. After Lord Northwick’s death in 1887, Lord Edward Spencer Churchill (Augusta’s son-in-law by her first husband) installed a water turbine which gave Blockley one of the first regular electricity supplies in the country. The 3rd Lord Northwick had no surviving children and the peerage became extinct. When Augusta died in 1912 her grandson Captain George Spencer Churchill ((1876-1964) inherited the estate and moved to Northwick Park. He gave unstinting support over a period of fifty years to the parish of Blockley. During his tenure, his cousin Winston Churchill was a frequent visitor to Northwick Park. In World War II Northwick Park was heavily used by the US Army, with the full support of Captain Spencer Churchill. They built a hospital on the adjoining site called the cinquefoil (now the Northwick Business Centre) and after the war, from 1948 to 1965, this became one of the largest Polish refugee camps in the country. Due to shortage of funds for its maintenance, Northwick Park itself sadly declined in the post-War period, and when Captain Spencer Churchill died in 1964 it became derelict. The Northwick collection of pictures and works of art was dispersed in an historic sale which attracted worldwide interest. The house was for a time used as a drug rehabilitation centre, but fell into decay. It was then bought by developers who got permission (subject to a Historic Monuments Commission survey in 1988) for rebuilding the mansion and surrounding historic area, in the first phase of the development of the Estate as it is today. Other development companies completed the work, adding the houses of William Emes Garden, Julianas Court, Churchill Square, John Woolfe Court and The Lodge. The Estate was taken over from Clarendon, the final development company, in 2003 by Northwick Park Ltd and thus passed into the joint ownership of the residents.